Colonel Valtok, extract of a conversation heard during the Victorious Commemoration Day feast. Stronghold-Bastion of the Crimson Lake. Ugarat Planet. 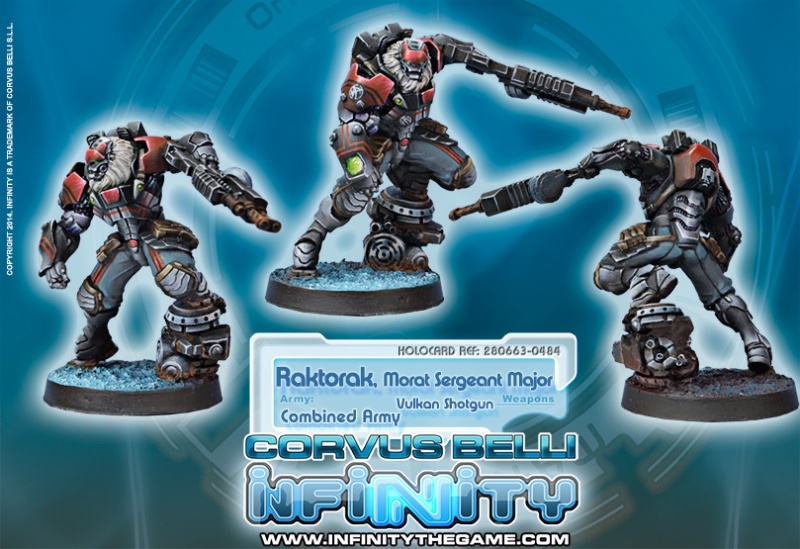 In Morat Aggression Forces, Raktorak is the most elevated rank among the non-commissioned officers and designates a veteran soldier with superior organizational and combative qualities. In every regiment there is usually a Raktorak for each company, assigned as assistant and right hand of the captain or commanding officer. Considered to be “first among peers” amongst the Morat non-commissioned officers, the Raktorak serves as an intermediary between the soldiers and the commanding officer, in charge of establishing and maintaining the discipline and behavior standards of the company. As a sign of respect, officers refer always to Raktoraks by their ranktitle followed by their name, an old custom harking back to the Knife Renaissance. As assistants to the commanding officer, Raktoraks have to help them not only in their daily tasks, but also as their bodyguards and personal escorts, being responsible for their direct security. 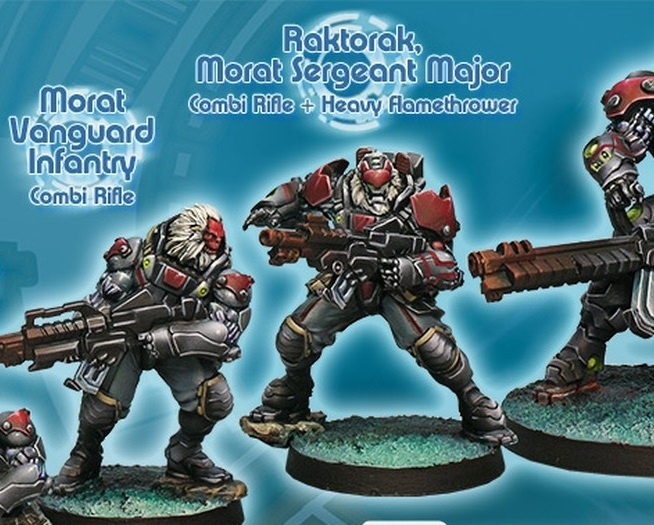 An axiom of the Morat Aggression Forces is that no Raktorak dies after his officer, especially among the Suryat Regiment, where they are their constant shadow on the battlefield. As the right hand of an officer, Raktoraks are usually deployed as their representatives in high priority missions, where they act as their eyes and fists. 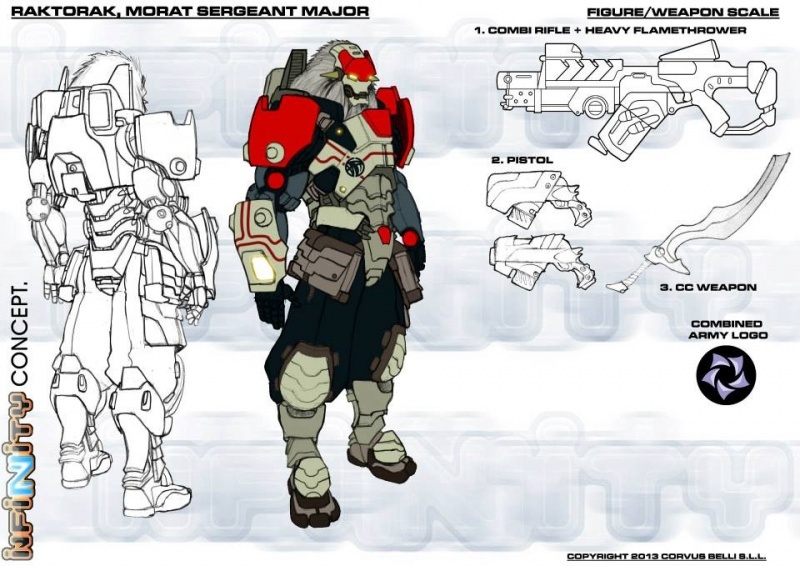 To reach the high requirements of the rank, a Raktorak must be superior in all levels to any other Morat non-commissioned officers. The Raktorak selection process is a true reflection of this requirement, following the theme of Morat military mentality: all the candidates are locked, unarmed, in an empty room and the one left standing when the door is opened is the only one worthy of the position of Raktorak. 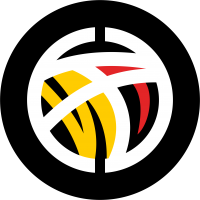 This page was last modified on 3 April 2018, at 09:46.